Gene Hackman. John Cazale. Allen Garfield. Cindy Williams. Frederic Forrest. Thriller. Film Noir. Drama. Detectives and Private Eyes. Guardian 1000 Must See (2007). Dave T's Platinum Picks. 01 Adam's Faves. Cannes Palme d'Or Winner. Peoples' Choice. 01 Becky's Bests. Recommended. 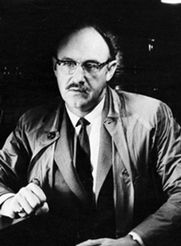 Tense mystery thriller with Gene Hackman as an ace surveillance expert who begins to question the morality of his own work. Listening in on a young couple during an apparently routine job, he realises he's involved in something far more sinister than he thought. Gripping and thought provoking.